Ifill was surrounded by family and friends at the time of her death, according to a statement from PBS NewsHour. “Gwen was a standard bearer for courage, fairness and integrity in an industry going through seismic change,” said “PBS NewsHour” executive producer Sara Just. “She was a mentor to so many across the industry and her professionalism was respected across the political spectrum. 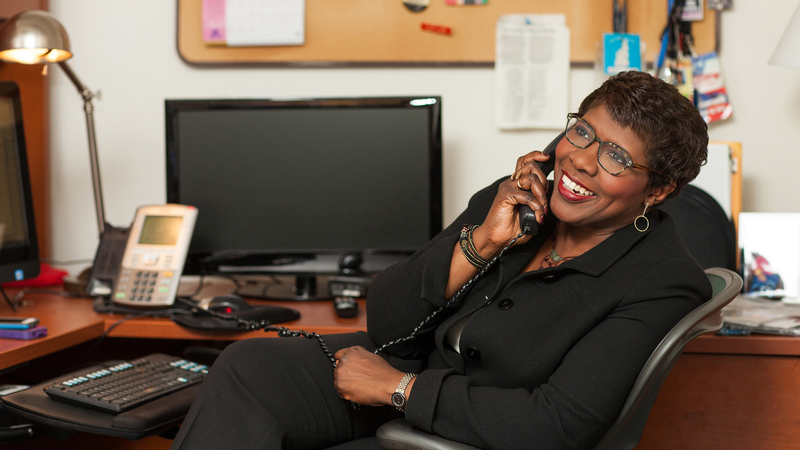 During her career, Ifill covered seven presidential campaigns, although she was not part of PBS's election night coverage last Tuesday. During the 2008 campaign, she won the George Foster Peabody Award for bringing “Washington Week” to live audiences across the country as part of a 10-city tour. In a press conference Monday afternoon, President Barack Obama expressed his condolences to Ifill’s family and colleagues. Obama said Ifill was a friend to him and Michelle. Before coming to PBS, Ifill was the chief congressional and political correspondent for NBC News, White House correspondent for The New York Times, and a local and national reporter for The Washington Post. WTTW President and CEO Dan Schmidt called Ifill “a top-flight reporter and mainstay of our station’s public affairs and news programming for many years. The New York City native graduated from Simmons College in Boston and has received more than 20 honorary doctorates. Last year Ifill was awarded the National Press Club’s highest honor, the Fourth Estate Award. Her work has also been recognized by the Radio Television and News Director Association, Harvard’s Sloan Shorenstein Center, Ebony Magazine and Boston’s Ford Hall Forum. Nov. 11: Glenn DuBose, the ultimate behind-the-scenes producer of arts programming on PBS, died this week in Miami. He shaped countless fine national and local programs. Oct. 24: Herb Kent was the longest-running DJ in radio history and graced the Chicago airwaves for more than 70 years. He died Saturday after his final radio broadcast. Sept. 29: The 1960s Chicago filmmaker known as the Godfather of Gore died earlier this week. We look back on the work of this cult figure.